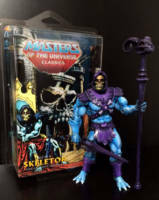 This a is complete custom dry brushed MOTU classics Skeletor figure. 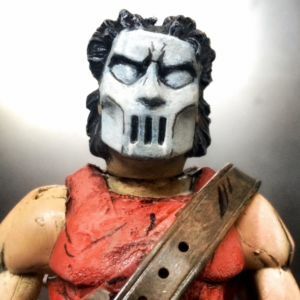 The head is a resin mold of the original classics Alcala Skeletor head and also dry brushed to give it the dark barbarian Alcala mini comic look. The paints used are acrylic paints with an nice shiny clear finish. I also constructed a custom box with the mini comic artwork of Alfredo Alcala and a background painting of Rudy Obrero which pictures Skeletor as resident of Castle Grayskull. This box can be opened and closed without damaging the package. In the mini comics Skeletor actually gets his hands on the two haves of the power sword and the Castle is in his possession for a brief moment. 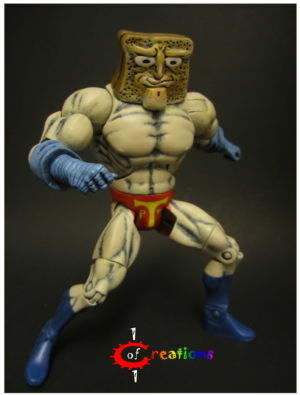 This figure captures him in this brief moment of triomph as king of Castle Grayskull. 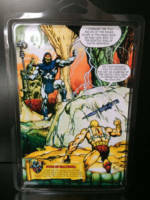 The custom made artwork (illustrations of Alcala digitally combined) on the back of the box shows how He-man surrenders to King Skeletor. Bow before your King, He-man! Oh my Blob this thing is SO awesome!! Those comics were the jam. This skeletor looks really cool. Big Alcala fan here! I'm glad the Filipino legend is appreciated in the realm! I liked his work way before I knew of Frazetta. Those he-man mini comics were my gateway! 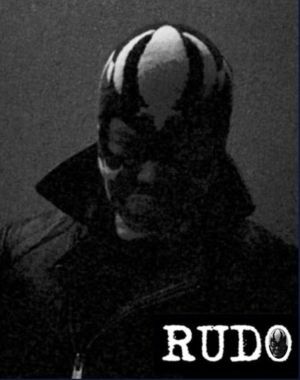 That is a badass looking Skeletor!